According to FlexJobs, 3.3 million full-time professionals in the United States, excluding volunteers and the self-employed, consider their home as their primary place of work. This trend of digital nomads saying goodbye to traditional offices shows no sign of slowing. By 2020, FlexJobs projects that 50 percent of people will work remotely in the United States. In June 2015, I joined our semi-distributed team at Piktochart as a remote team member. I quickly looked for ways to connect with others who also work outside of a traditional office. I signed up for Remote Year, a dominant player in the digital nomad travel program space. Remote Year participants spend an entire year working abroad, moving to a different city each month. My cohort kicked off in June 2016, and our itinerary was set to cover 4 continents, 12 cities, and 10 countries. In the end, I traveled with Remote Year for 21 weeks. I decided to leave the program to go back to traveling the world and working remotely on my own. I once compared my time in Remote Year to being in a conference lobby for 21 weeks straight. There were times when it was exciting to get to know people in my group, but there were other times when each interaction felt like a small talk marathon. For me, it’s important to get new ideas and faces into a community to be sure it doesn’t grow stale. This can be done by incorporating new program participants into the mix over time, or limiting the program time. 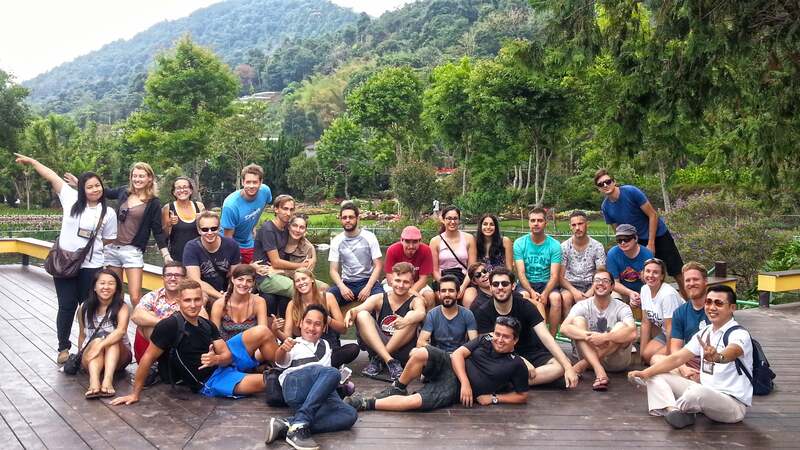 A few months before kicking off Remote Year, I joined Hacker Paradise for 3 weeks in Bali. Hacker Paradise is a traveling community for developers, designers, entrepreneurs, and other digital nomads. They’ve had over 300 participants from 35+ countries. Trips to a country vary in length, anywhere from one to three months. My Remote Year cohort was mostly made up of employees, founders, and freelancers who were working remotely. In the mix, we also had some digital nomads who were not focused on daily work during their year-long journey. There were students, people taking a sabbatical from their corporate job, or people who were open to their next career path. I found myself longing for more people I could relate to on a professional level. I was interested in redefining what work could be alongside other people passionate about their careers. One solution to creating a common thread for digital nomads was developed by Ann Davis, director of Venture with Impact. Her startup is launching a pilot program in January and February 2017 with 15 participants. What binds these travelers together is an interest in volunteering with local organizations. Each Venture with Impact participant’s volunteer experience is individualized based on their interests and work schedule. Ann and her team have spent time forming relationships with each non-profit partner so that they have a strong understanding of their programs and needs. Before joining Remote Year, I had stayed in roughly two dozen Airbnbs around the world. At first, I thought having a travel company arrange my accommodations for an entire year would save me time and stress. Showing up to a new city and being given a key to an apartment seemed awesome. As my 21 week journey with Remote Year went on, I became less and less thrilled about the uncertainty of not knowing where I’d live. And I wasn’t the only one. In a handful of cities, members of our cohort were openly furious about their apartments, which added more stress on the group dynamic and positivity levels. Each new city meant a roll of the housing dice. Sometimes it turned out well, other times not so much. The stress over how it would turn out month after month caused more anxiety for me than I could have anticipated. 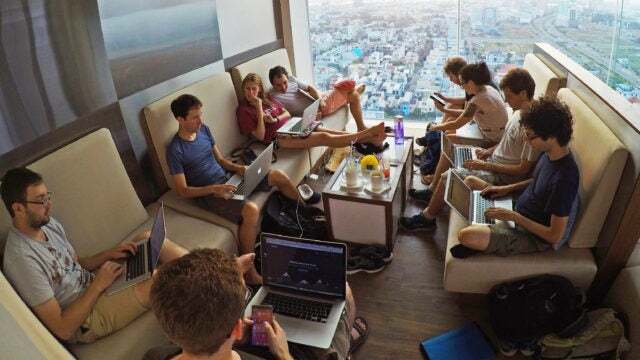 Dane Andrews and the team at Roam seem to have found an innovative solution to housing for digital nomads – an international network of co-living spaces. To date, 300 members have stayed at their spaces. Roam’s spaces can be seen by members in advance of landing at the location. Participants can also check out the neighborhood to see if it’s ideal for their lifestyle. One of my favorite aspects of Roam is the private bedroom and bathrooms for all members. Being able to have space to call my own turned out to be something I missed most while on Remote Year. When I happened to land an apartment to myself, I noticed a dramatic difference in my productivity and happiness levels. Whether I’m in a new city, country, or continent with fellow travelers , I’m constantly learning and exploring. For me, the key in this experience is trying new things, giving them a fair shake, and cutting loose the ideas that aren’t a good fit. As the digital nomad life comes within reach of more and more professionals, travelers should try to see if this lifestyle suits them. “Living as a service” startups are on the rise with innovative options for people of all backgrounds – and it’s an exciting time to be a remote worker. Apple has lost its trillion dollar status after announcing some disappointing financial forecasts for the next quarter. We've taken a look at what that means for the company, why it's happened, and what it can do to put it right.